For more than 20 years, Mr. Harry Lucas, Jr. and the Educational Advancement Foundation (EAF) have supported inquiry-based learning (IBL) in mathematics at the collegiate level by providing start up funding for innovative programs nationwide. A key EAF goal has been to improve students’ early experience with mathematics and retain STEM students during their critical initial experience with mathematics classes. EAF’s previous investments in IBL have helped establish a vibrant IBL community of practitioners and experts. However, due to the critical need to improve STEM education in the US, the philanthropic community must build on this current foundation. EAF is partnering with organizations to expand the use of active learning strategies in STEM education. In IBL classrooms students are taught through expert guidance how to develop mathematical ideas on their own, either individually or in small groups. They learn how to be producers, rather than consumers of knowledge. The Annual RLM Conference – a national IBL mathematics meeting continuing the legacy of R. L. Moore, a University of Texas professor who taught and inspired generations of mathematicians and industry leaders. The annual conference, celebrating 17 years in 2014, brings together more than 200 IBL practitioners to share experiences and support program development efforts. IBL Centers - For 10 years, four IBL university based centers have been developing IBL classes, introduced regional training programs and developed a new generation of IBL-trained teachers serving the university, graduate and K-12 levels. IBL Evaluation - A recent 3 year study led by Sandra Laursen highlighted improved student outcomes – especially for women and other under-served populations. Follow up evaluation efforts aim to disseminate findings and build on the initial study. AIBL – EAF supported the development of the Academy of Inquiry-Based Learning, currently led by Stan Yoshinobu at Cal Poly San Luis Obispo. AIBL sponsors a small grants program, conducts IBL workshops, and provides a key national website and database to connect IBL practitioners. Funding for the workshops was also supported directly by NSF grants. IBL Teaching Materials – EAF has supported the dissemination of new curriculum and suggestions for teaching innovations through articles in the Journal of Inquiry-Based Learning in Mathematics, AIBL, the EAF newsletter and The Legacy web site (http://legacyrlmoore.org). Annual IBL grants – Each year, the EAF trustees review grant proposals and fund IBL projects that best extend training and educational activities. In addition to supporting small to mid-sized programs, EAF and Mr. Lucas have also been instrumental in supporting various broader educational efforts, such as the UTeach program and Freshman Research Initiative (at the University of Texas). IBL - Historic and Educational Preservation - Through a number of programs and initiatives, EAF has supported the archival preservation of key professors’ experiences with IBL and other educational approaches. Recent goals include making existing materials more accessible on the internet for public availability. We invite you to work with us on the development of new programs and initiatives in support of STEM education and students. The remainder of this document provides additional information and data on EAF supported projects, with major additional support from the NSF. · Approximately 200 mathematics graduate students and post-doctoral fellows have been mentored by IBL-focused professors and have gained their own IBL teaching experiences. In addition, workshops and outreach efforts have influenced regional education institutions, local school districts and K-12 teachers and students. The Centers have increased their national impact by supporting the Academy of Inquiry Based Learning (AIBL) and contributing articles to the Journal of Inquiry Based Learning in Mathematics. Clearly, the overall impact of the IBL Centers has been deep and widespread. All of the Centers have increased students’ exposure to IBL and produced new practitioners at both the undergraduate and graduate levels. 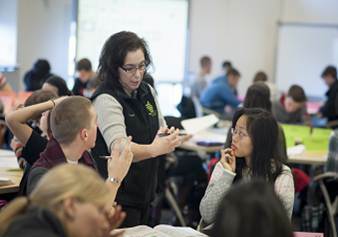 A University of Colorado Boulder evaluation team, led by Sandra Laursen, (August, 2013) completed one of the largest studies ever devoted to an evaluation of undergraduate mathematics classes that focused on inquiry-based learning methods. For an example of the assessment outcomes, see "Assessing Long-Term Effects of Inquiry-Based Learning: A Case Study from College Mathematics," in Innovative Higher Education, June 2014, Volume 39, Issue 3, pp 183-199. Multiple, complementary measurements of student and instructor outcomes over two years were made at the four IBL Mathematics Centers. The report was released in July, 2012 at the 14th Annual Legacy of R.L. Moore Conference in Washington DC (co-hosted with the Mathematical Association of America), providing several key findings. Observations conducted during the study revealed strong characteristics of an IBL classroom. The IBL classrooms were representative of an environment where students could safely express ideas, ask questions, and receive feedback on their ideas. Student voices were heard: presenting, explaining, arguing, and asking questions. While the instructors played a critical role in establishing the overarching plan for the course, selecting the curriculum, and determining the sequence of problems or tasks that students worked through, the students had a strong influence in shaping the everyday work and setting the pace. This joint responsibility for the depth and progress of the course fostered a collegial atmosphere that placed value on respectful listening and critique and invited every class member to contribute fruitfully to the mutual development of mathematical ideas. It appeared that non-IBL courses tended to reinforce prior student achievement patterns; whereas, previously low-performing students showed an increase in performance on subsequent math courses after taking an IBL course. Several lines of evidence indicate that IBL experiences were more powerful for students earlier in their college career. Younger students benefited most from IBL instruction, but it had positive effects on students’ learning at all stages. IBL methods helped both men and women but particularly benefited women studying college mathematics in comparison to lecture-based courses. In IBL courses for mathematics majors, women reported comparable learning gains to their male classmates, but in non-IBL courses women reported notably lower gains than their male peers. Overall, students in IBL courses reported higher gains than did their peers in non-IBL comparison classes. Mean learning gains for men and women are given in the following chart. “Gains” (Cognitive, Affective, Collaborative) refer to results from surveys taken by the students in the study. The surveys for this study were established by the researchers (Laursen, et al.) and were based upon previously established similar surveys. Reporting gains in this way is common in education research. Such surveys often include questions that ask how this class affected the student’s thinking, attitude, and collaboration efforts. EAF has financially supported the publication of IBL-related texts and media for classroom use, including Marshall, Odell and Starbird’s Number Theory Through Inquiry, David Clark’s Euclidean Geometry, A Guided Approach, the DVD “Creativity in Mathematics, Inquiry-Based Learning and the Moore Method” and republication of H.S. Wall’s Creative Mathematics. The EAF supports the Archives of American Mathematics at the Briscoe Center for American History at the University of Texas at Austin. The national repository of institutional and individual collections includes material generated by EAF supported projects as well as documentation of the IBL community through the acquisition of oral histories, personal papers, and other archival material. AIBL is a network whose participants include graduate students, new IBL teachers, and widely experienced national leaders and administrators (e.g. retired faculty, foundation staff), with the purpose of disseminating inquiry-based learning teaching methods in mathematics courses. The website address is www.inquirybasedlearning.org. Participants can sign up for free and search for IBL mentors, join discussion groups, receive updates, and share materials and experiences via the website. Over the last few years, EAF and AIBL have awarded approximately $100,000 in small grants to new and experienced IBL instructors. Projects have included release time support for professors to prepare to teach established IBL courses (e.g. Topology, Analysis, and Number Theory), use IBL in courses for prospective elementary school teachers, and develop new IBL courses which have thus far included Combinatorics, Advanced Mathematical Computations and Groebner Bases, and Knot Theory. 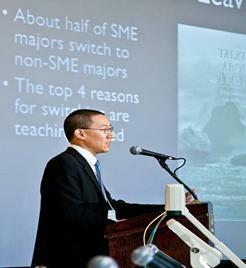 Stan Yoshinobu of Cal Poly San Luis Obispo has conducted IBL Workshops (2006, 2007, 2009, 2010, and 2013) for mathematics instructors at the college level, with a general undergraduate mathematics course focus. Participants were asked to select a target course that they would teach in the following academic year. 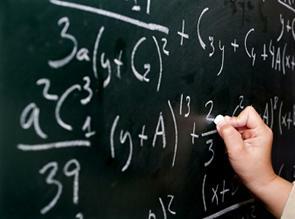 Courses ranged from precalculus, calculus, and introductory statistics, to upper-level proof-based courses. Yoshinobu, Carol Schumacher, and Matthew Jones have recently been funded by the NSF to offer summer workshops on IBL mathematics instruction (2013-2015). This project is being evaluated by Laursen’s Colorado team and so far shows encouraging results. Additionally since 2001, Yoshinobu has conducted workshops for K-12 instructors centered on IBL instruction in the K-12 math setting, under a variety of programs (Eisenhower Grants, California Math Project, and AIBL-funded local projects). Several NSF grant awards (0920201, 0920786, 0920057, 0920173, 1225820) totaling $449,626 were received by the four IBL Mathematics Centers (with evaluation funding for the University of Colorado) at the University of Chicago, the University of Texas at Austin, the University of Michigan, and the University of California Santa Barbara, who collaborated in producing IBL workshops over a period of four years (2010-2013). Additional support was provided by the MAA. Some of these workshops are described below. Data collection and analysis are ongoing to determine the impact of these workshops on instructors’ teaching practices. The Department of Mathematics at the University of Michigan held a NSF-supported workshop on IBL in May 2011. It attracted about 30 local and 50 external participants from a diverse set of four-year colleges and research universities. All four Centers led sessions. Presenters included both masters of IBL instruction as well as new IBL instructors, both postdocs and tenured faculty. In addition, Sandra Laursen, the evaluator of the NSF grant and the local evaluator, Vilma Mesa, led a session on how to do assessment. The workshop was organized around themes such as The Freshmen Experience, Math Education and Assessment. Presenters used videos of actual IBL classes, worksheets, and syllabi for concrete presentations. All themes had parallel breakout sessions in the afternoons. Much emphasis was placed on IBL classroom techniques. Discussion sessions included: how to develop such a course, how to train new instructors, how to fine-tune the course, how to survive as a new instructor. In addition, evaluators discussed their findings on IBL and how to do learning assessment in an IBL class. With support from NSF, University of Chicago presented The Many Ways of Inquiry-Based Learning from June 17-21, 2013, led by Paul Sally and John Boller, both of the University of Chicago. There were live demonstrations of IBL classes in two varieties: (1) four classes of Honors Calculus as taught at the University of Chicago and led by John Boller, and (2) four classes of professional development for K-5 teachers led by Ken Gross of the University of Vermont. In addition, there were presentations on various aspects of IBL including its implementation and its effectiveness, panel discussions, question-and-answer sessions, break-out sessions, and plenty of opportunity for informal discussions. The NSF supported IBL Center at The University of Texas at Austin has offered many workshops in different formats and for varied audiences in addition to participating in the MAA PREP workshops described above. Some examples are: (1) A 2-day workshop on IBL teaching in mathematics, University of Arkansas at Little Rock, 2010, required of all the faculty members at University of Arkansas at Little Rock, about 15 participants. The University of Arkansas at Little Rock was attempting to systematically incorporate IBL methods throughout their curriculum. (2) Two 3-hour Faculty Workshops on IBL instruction in mathematics at MAA Sectional Meetings held at the University of Central Oklahoma, April, 2011, approximately 30 participants and at Tyler, TX, April, 2011, about 25 participants. Most recently, there was a workshop hosting professors from across the UT System, about 30 attendees. Over the past 20 years, our efforts to support IBL practices have gained influence in several universities across the country. We are continuing to grow, but there is still much work to do. Student interest and retention in STEM fields needs to be nurtured. All students should be offered the opportunity to learn how to think critically, develop confidence in their own thinking ability, and solve non-routine problems. Our goal is to ensure that every student has the opportunity to experiences at least one IBL mathematics course prior to graduation. We are always looking for support in creating awareness of IBL practices and in fundraising. The time to get involved is now. 1. Laursen, S. (2013). From innovation to implementation: Multi-institution pedagogical reform in undergraduate mathematics. Lighthouse Delta 2013: The 9th Delta Conference on teaching and learning of undergraduate mathematics and statistics. Kiama, Australia.